Taiwan based computer connectivity product vendor ATEN has opened new office in Bangalore, India. Taiwanese companies grow fast in India and keep aggressive targets. ATEN is no different it expects 30 percent growth from India, South Asia markets. ATEN' Bangalore office has a demo room, which provides India customers to experience the future connection of ATEN's AV and IT convergence solutions. 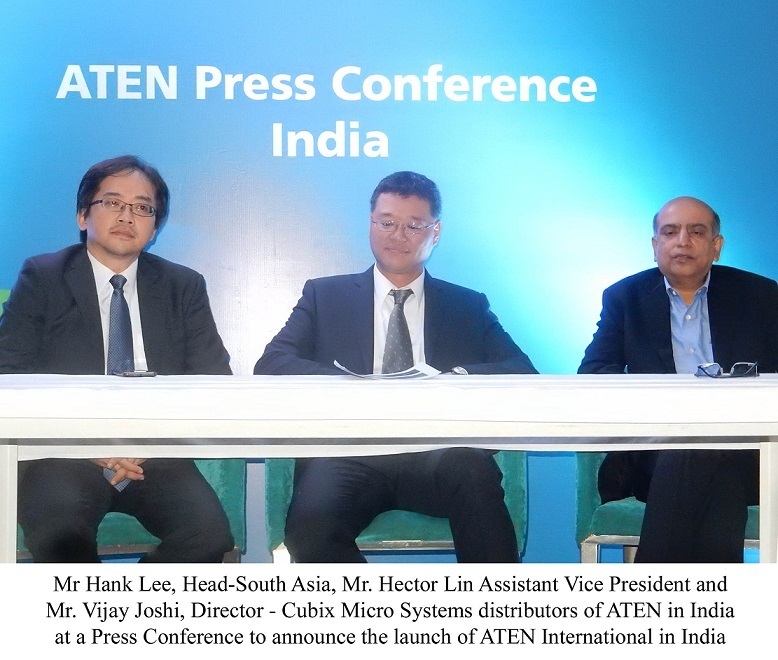 Hector Lin, Sales Division Associate Vice President, ATEN International said, "India and South Asia contributes to 10% of total revenues of the company.We have seen a 30-40% growth in India and South Asia market over the last 3-4 years. India and South Asia are important markets for ATEN and we expect to strengthen the connection with South Asia market by our new India office". ATEN's intersting products for Indian market are enterprise KVM solutions and Professional A/V solutions. The Bangalore center, besides offering workshops and training to systems integrators, will also create brand awareness and promote ATEN's products among potential partners. ATEN India's major customers include Siemens, L&T, Cognizant, NTPC, CISCO, IBM, Apple, Tech Mahindra, TCS, amongst others, in addition to major government projects including Metro, Defense and Aerospace. Having established global operations in 1979, ATEN entered the India market in 1997 through partnership with CUBIX Microsystems. ATEN secures its KVM products using its own semiconductor chip.